It’s so easy to write about events and incidents that might happen to us. It’s so much harder to write deeply about ourselves, but that’s what really reveals our deepest emotions. I try my best to be authentic. But it’s not so easy to be completely transparent on the blog. I guess I’m not ready to make myself so vulnerable and also expose other people. I find it easy to write more personally in my journal. When I do, I realize how much of me needs to be healed and worked on. It think then, it doesn’t matter if I share my deepest inner thoughts on the blog, as long as I write it down on paper. Share one of your Christmas memories. Your views on this quote from Erma Bombeck : There’s nothing sadder in this world than to awake Christmas morning and not be a child. Share your family traditions for Christmas, New Year or any other celebration. 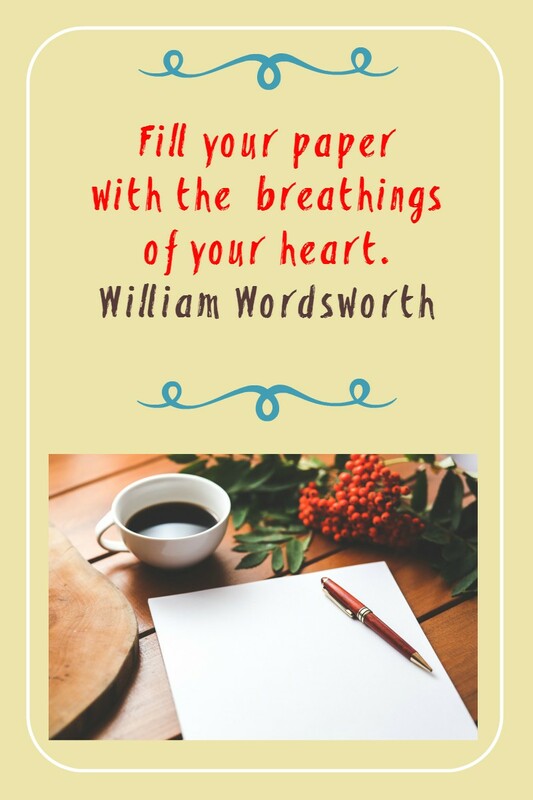 Do you dare to share the ‘breathing of your heart’ in your writing? 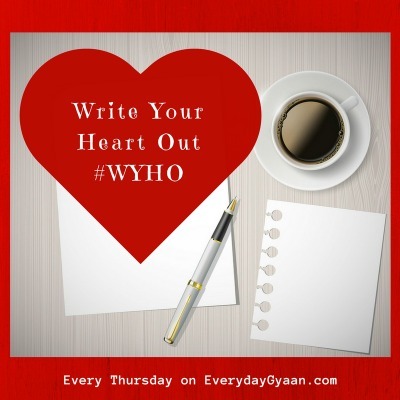 I have been meaning to write for WYHO but something or the other happens. Stopping by on any of your blogs Corinne tells me so much needs to be done 🙂 You are so inspiring! I too find it difficult to write everything that I feel on my blog. Yes the posts take inspiration from my real life but I find it difficult to share all the things on my mind. I’ve been thinking a lot of where I want my blog to go in 2016. I do a lot of self censoring, not always writing about the things that matter to me. I don’t publish the breathing of my heart. Will I write my heart out in 2016? Or will I cease blogging altogether? Both are possibilities, but I do need to do something different and head out in a new direction.